I found it very hard to get a photo of this bridge in the time I had available. I didn't really succeed so this photo of the bridge number will have to do. 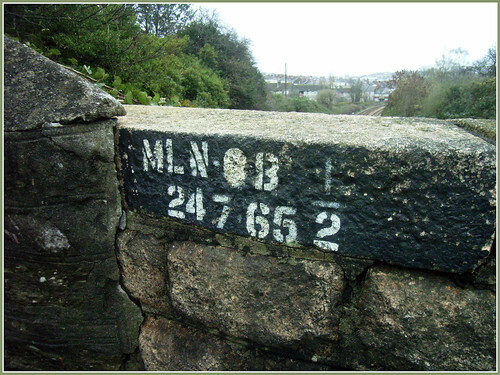 The main Plymouth to Penzance line is below us. This view is looking towards Plymouth North Road Station.